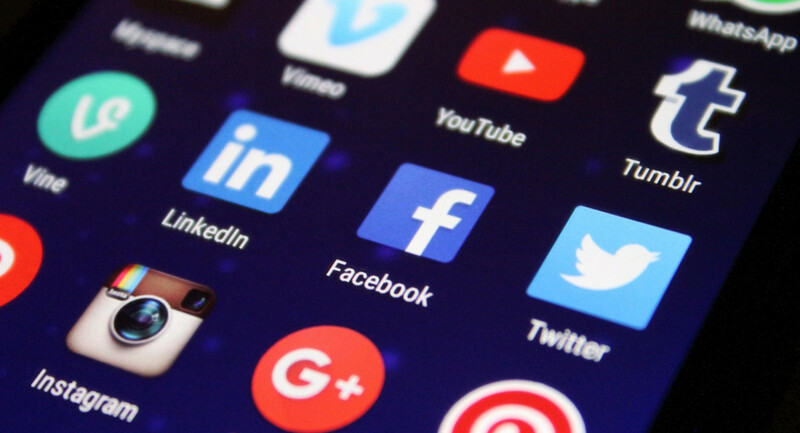 In today’s world of connectivity, brands need to understand that their most important asset is reaching and retaining customers. Expectations are higher than ever; social media channels are the perfect outlet for customers to share their thoughts and needs. 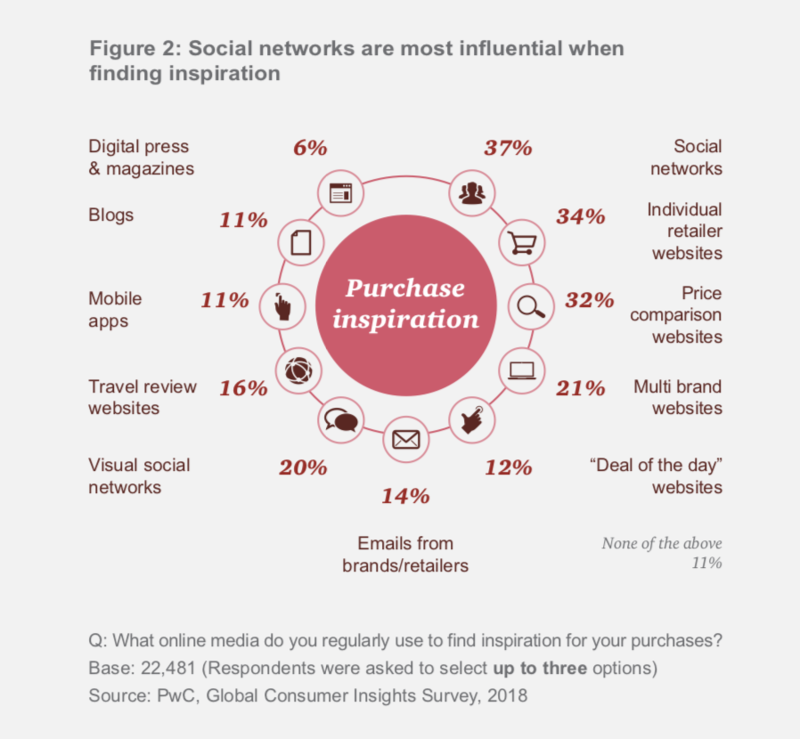 According to PWC’s research, 37% of users say, they use social media to find inspiration for their purchases. The brand website is a critical destination, but most importantly, the mobile version. In 2020, the number of smartphone users worldwide is projected to reach 2.87 billion. Everything happens around smartphones. An excellent mobile experience is part of every customer journey. The use of data can provide the basis of allocation of resources between earned, paid and owned media channels to achieve the optimum outcome. Multi-channel marketing is the blending of different distribution and promotional channels. Distribution channels range from a store to a website or a mobile app. 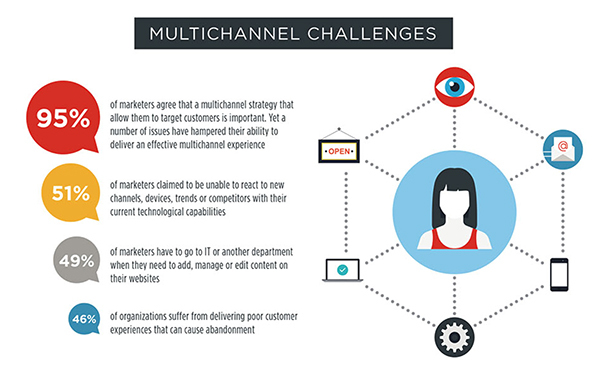 Multi-channel marketing is about choice. The objective is to make it easy for a consumer to buy from wherever they want to because the experience should be cohesive and seamless. Having historical data provides a vital insight into allocating resources successfully. Identifying the best channels concerning performance means that you can increase investment in that channel. The more the channels are integrated, the more influential they become. Being able to measure the amount of engagement and ultimately revenue, means you are analysing your entire network to decide on any further action. The strategy implemented on the website should be the same in social media and the email marketing planning. The goal is to have an integrated customer experience, a consistent message across channels, and to allow the consumer and brand to interact comfortably and by whichever platform the consumer chooses. The objective is the same, and it should be reachable in any channel. Providing a plethora of consumer data is not equivalent to forming a view of the consumer; therefore it is equally as important, if not more so, to be able to analyse data correctly. It is also not just a matter of which channel drives the most traffic. The information is only meaningful when interpreted within the context of strategic goals and key performance indicators. If a campaign generates more purchases than traffic, it could be considered successful, but at the same time, it will be an indicator for some other insights such as size audience or issues with the ad placements. In any marketing strategy, knowledge of the market is the key to success. Big brands are continually reviewing and adapting to their customer’s needs. By creating a multi-channel platform, you can integrate both the emerging channels with the more traditional ones. The execution of multi-channel marketing campaigns then becomes simpler, as one campaign can then be replicated across a variety of channels, creating the most effective results with a greater return on investment. According to research by Smart Insights, many marketers still feel uncertain about their ability to offer a truly omnichannel approach. Although 95% of marketers agreed that some form of multichannel strategy is important for their organisation, only 39% felt they had the ability to recognise where a prospect was on the customer journey. In addition to this, 27% of marketers claimed to lack confidence in their ability to deliver “the right message, at the right time, to right prospect”. In the age of big data analytics, marketers are flooded with information that could improve their services and ultimately turn potential prospects into long-term customers. Unfortunately, most marketers still don’t know how best to use it. There’s a 36% of businesses still not using a CRM and 62% having no marketing automation tools in place. 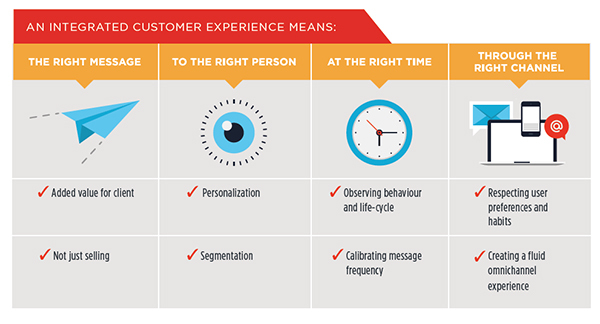 The customer experience is also an overlooked aspect in most of the multichannel strategy. If your brand is promoting a specific offer or item; all your channels should communicate the same message and provide with detailed information to the user. The customer support should be ready to answer any question and solve any issue related to the promotion. The goal is making the customer experience integrated, seamless and positive for the user.